The 2019 Cooktown Discovery Festival will take place from June 14-16 in beautiful and historic Cooktown. 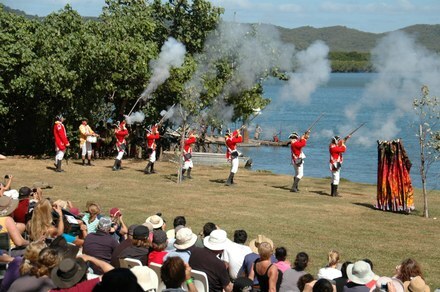 This is one of Far North Queensland's premier events with hundreds of visitors flocking to Cooktown every year to experience the unique culture of Cooktown and have a great time making history fun! Exciting new events planned for 2019. Keep up to date on the Cooktown Discovery Festival Facebook page. This event will be delivered in conjunction with Wild and Windy. The Festival has something for everyone, with a range of free events and activities.